Description:- Acrylic impact modifier shows in PVC excellent outdoor weathering stability, impact strength efficiency, color durability, retention of mechanical properties under long term exposure to UV light outdoors, good dimensional stability, good thermal stability. 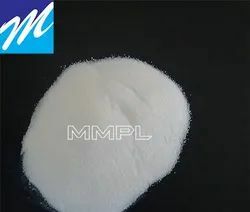 Description:- Acrylic Processing aid is give most outstanding performance during the process in PVC application for promotes faster fusion, increase production output and yield, improve melt - elasticity, reduction of plate-out and melt texture, improve surface gloss, finishing, thickness, weight, tensile strength and impact. These products comes low, medium, and high molecular weight for specific pvc application. Acrylic impact modifier shows in PVC excellent outdoor weathering stability, impact strength efficiency, color durability, retention of mechanical properties under long term exposure to UV light outdoors, good dimensional stability, good thermal stability. 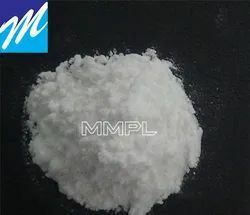 Application:- Acrylic processing aid and Impact Modifier are use in PVC pipes -fitting, CPVC pipe-fitting, uPVC pipes-fittings, PVC furniture, PVC medical parts, PVC door-window, PVC footwear, PVC blister film, PVC rigid sheet, PVC flexible film, PVC packaging film, PVC lamination film, PVC shrink film, PVC celuka foam board/sheet, WPC sheet, WPC profiles/chokhat, PVC free foam sheet, PVC rigid profiles, automotive products and other many application Description:- Acrylic Processing aid is give most outstanding performance during the process in PVC application for promotes faster fusion, increase production output and yield, improve melt - elasticity, reduction of plate-out and melt texture, improve surface gloss, finishing, thickness, weight, tensile strength and impact. These products comes low, medium, and high molecular weight for specific pvc application. Looking for PVC Impact Modifier ?